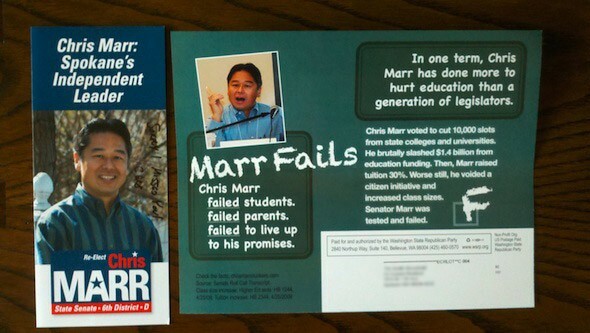 I arrived home last night to find pro-Chris Marr literature wedged into my door (with a "Sorry I missed you" note) and a piece of anti-Marr literature in my mailbox. Is this just a weird coincidence, or is each of these campaigns so fine-tuned that it can perfectly match the other's timing? Banned from Black Happy! Or not?